Labels aid in general workplace safety and efficiency by identifying contaminated equipment containers, rooms, or materials. 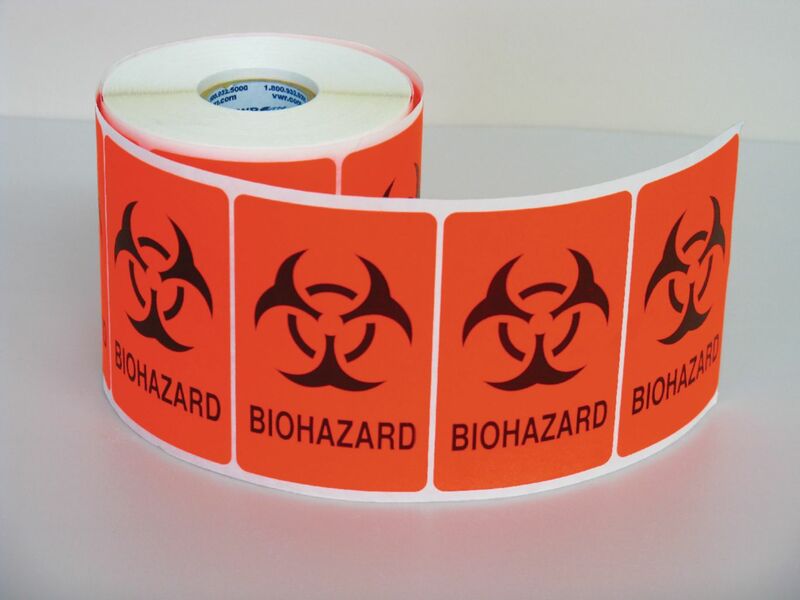 A biohazard symbol along with the term are printed in bold black atop a fluorescent red background. Certifications: Labels are manufactured in accordance with various federal and state regulations, including OSHA safety standards. Ordering information: Labels are available on rolls of 250 or 500 labels. One roll per case.